Our suave greyhound statue is a beauty. Detailed and handcrafted, our sleek greyhound statue comes in a beautiful finish that pays tribute to one of nature's fastest dogs known to mankind. 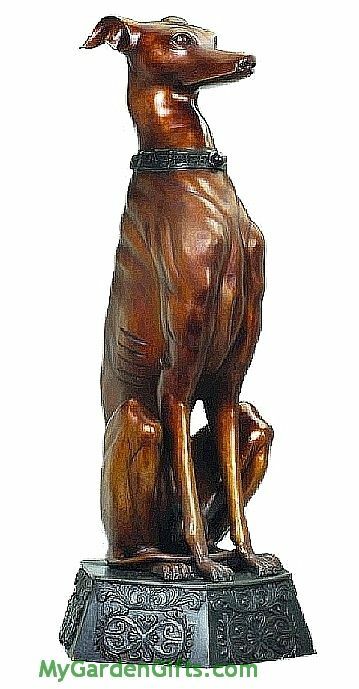 Made of bronze and cast through the age old technique of the lost wax process, this greyhound statue and sculpture highlighted on an elaborately detailed base, is a timeless addition to the home.